1972 - The Jackson 5's second TV special was aired in the States. 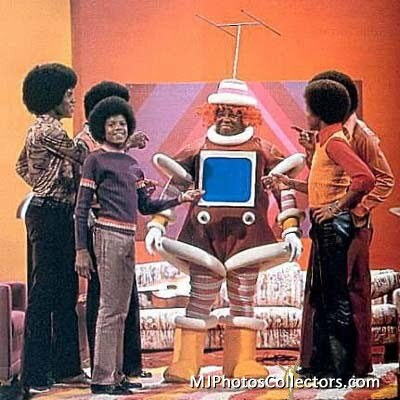 The date was November 5, 1972, and suddenly the J5 were big as life on the TV screen right in your living room! Here, appropriately "labeled", the boys discuss a deal with Ted Ziegler. This daydream sequence turned your favs into a bunch of elves. And they're off to save a damsel in distress, played by Jo Anne Worley. 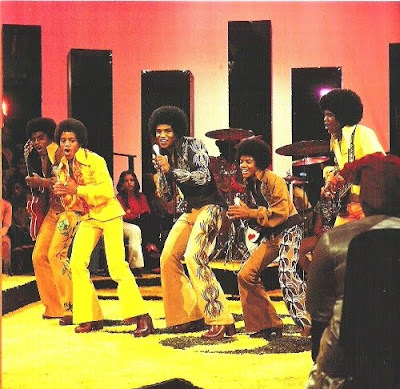 The Jackson 5 also performed a skit featuring an unreleased song, Daydreamer, and closed the first half of the show with We’re Coming Back, using the riff from I Want You Back to good effect. The special introduces a totally new visual technique that combines live action with animation as J5 order a world of daydreams. 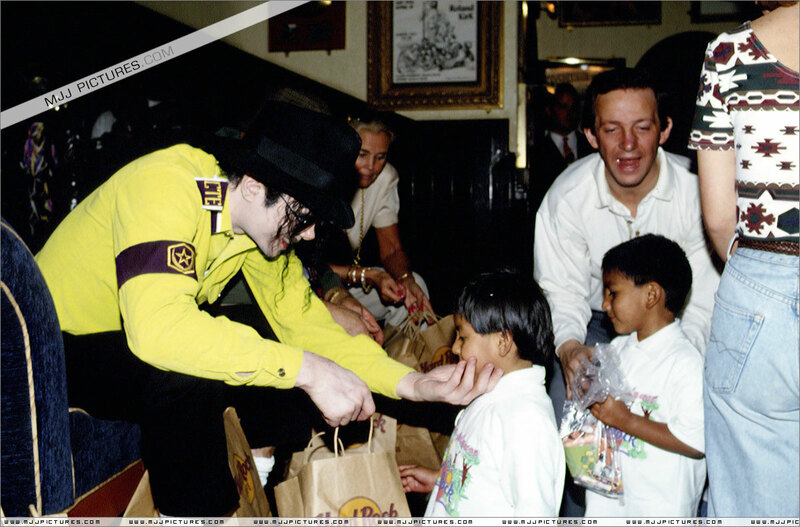 ^ Michael was left holding the basket quite literally, as "Shorty" strolls away. Dig the many muscles on Mike's beautiful bod! Don't the guys wear some boss clothing during these way-out 30 minutes? Here, the spotlight is on Mike and Jermaine, those dandy dudes. The Jackson 5 on their first European tour in Frankfurt, Germany. 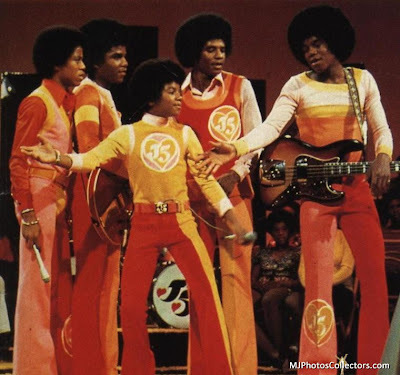 1979 - The Jacksons perform Destiny tour in Detroit, Michigan. 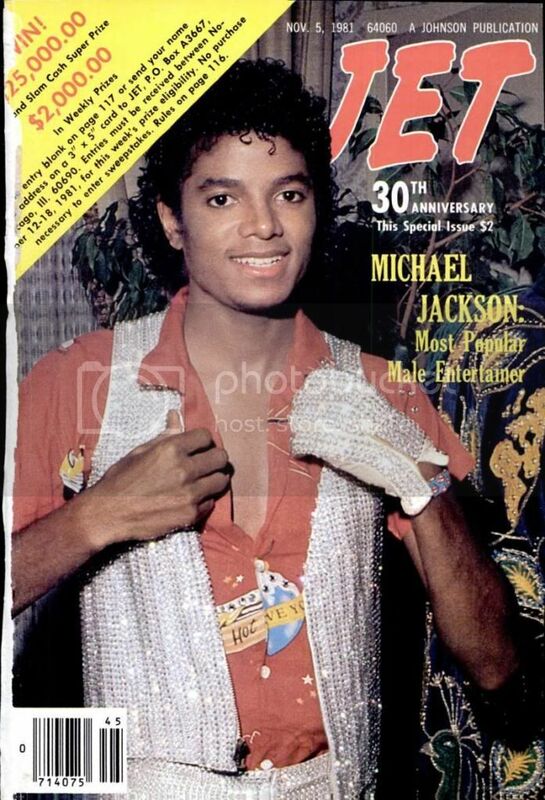 1981 - Michael is on the cover of Jet Magazine in which he is voted Most Popular Male Entertainer. 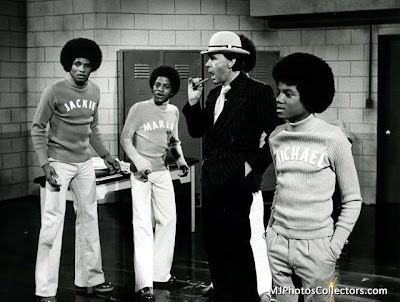 When Michael Jackson recently concluded a 40-city tour as the angelic-voiced lead singer of the world famous vocal quintet of Jackson brothers, he promptly proceeded to his next project-to co-produce an album with Quincy Jones, the Svengali songmaster who produced Michael's best-selling album, Off The Wall. It was the impact of this triple platinum album and JET readers opinion poll that influenced the editors to name Michael "Most Popular Male Entertainer." Being the "best" or "most" is nothing new to the fifth of six talented sons of Joseph and Katherine Jackson. Born 23 years ago in Gary, Ind., under the sign of Virgo, whose trait is unselfishness, the handsome singer's onstage magnetism and magic are mesmerized only by his offstage majesty and meekheartedness. He got started being the best at age 13 when his first solo album, Got To Be There, become a best-seller and he was named "Male Vocalist Of The Year." Of all his honors, his Off The Wall album set new precedents in the record industry. 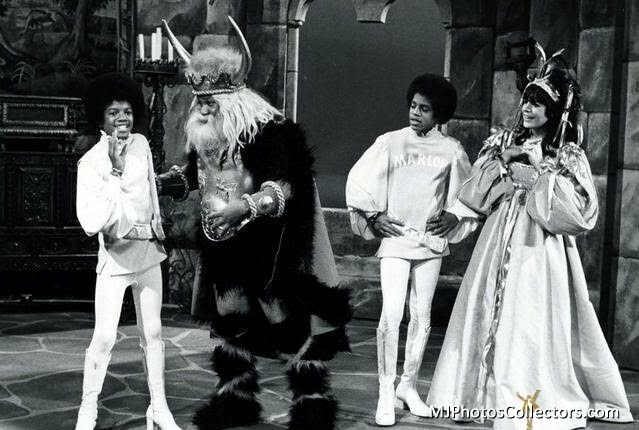 It sold more than 5 million copies in the US and Michael become the first solo recording artist in history to place four singles (Don't Stop 'Til You Get Enough, Rock With You, Off The Wall and She's Out Of My Life) from the same album in the top 10 of the nation's leading record charts. In UK it is the first time in UK that five singles have been released from the same album. With that kind of solid success, Michael merits the "most." 1991 - Michael Jackson's single "Black Or White" was released. 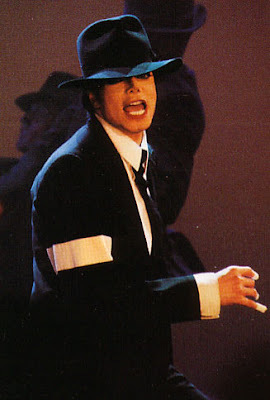 1993 - Michael Jackson's video "Dangerous: The Short Films" was released. 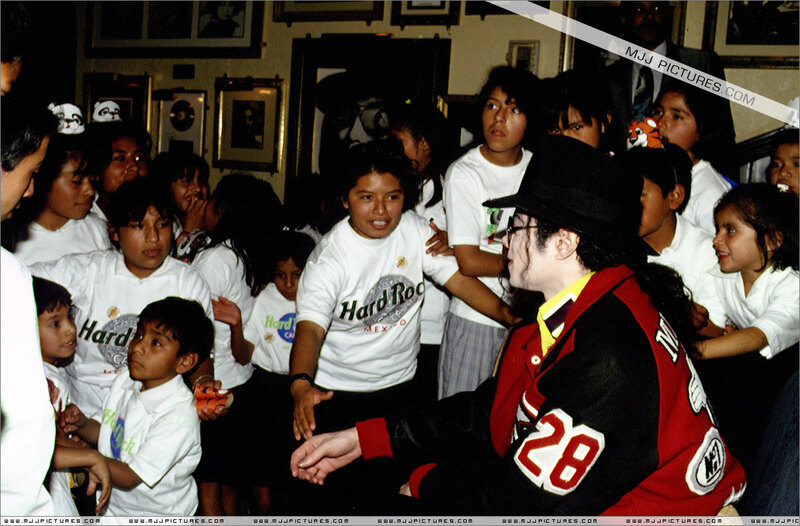 Michael attends a children’s festivity at "Hard Rock Cafe" in Mexico City, dedicated to the homeless ones from the "Tere Alarcon" orphanage. 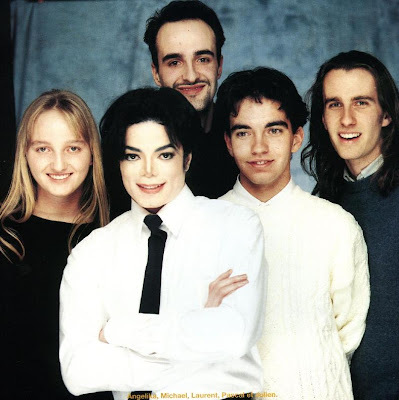 1994 - Laurent Hopman visits Michael at the Hit Factory Studio in New York and gets to listen to 3 songs from the new album! 1995 - Michael graced the popular German Game show Wetten Dass? (Wanna Bet?) with his live appearance. In addition to his immaculate Dangerous routine, executed with the same precision and finesse as at the MTV Music Video Awards in September, Michael also performed Earth Song in public for the first time, a real coup for Wetten Dass? Backstage, he meets Laurent Hopman and Anton Schleiter, son of son of Hamburg-based Sony music exec Wolfgang Schleiter. 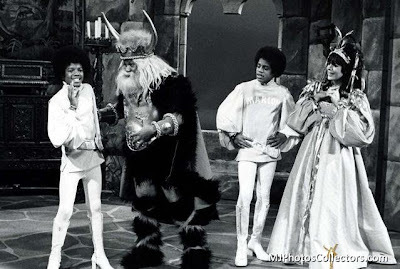 The TV special attracted 18 million viewers, became the biggest TV event throughout Europe breaking viewership records in Germany and another 25 million throughout the rest of Europe tuning in to watch Michael's guest spot. Far and away the highest German TV audience of 1995 it's THE event of the year 1995 in Europe. 1996 - Ghosts received its U.S. première. The film also premièred in selected Sony Movie Theatres in various other European cities and in Tokyo, Japan - very successfully. 2001 - Michael Jackson's Invincible is at #1 on the Australian ARIA Albums Chart. 2005 - Michael & the kids are back in Dubai where they stay at the One and Only Royal Mirage. 2009 - The MTV Europe Music Awards pay tribute to MJ live from Germany. The Thriller demos leak on the Internet. This entry was posted on 05 November 2010 at Friday, November 05, 2010 and is filed under 1972, 1979, 1991, 1993, 1995, 1996, 2001, 2002, 2005, 2009 . You can follow any responses to this entry through the comments feed .